How Does the Biological Wastewater Treatment Process Work? Lakeside Equipment Corporation\Blog\How Does the Biological Wastewater Treatment Process Work? There are two main types of wastewater treatment: primary and secondary. Primary treatment is a fairly basic process that is used to remove suspended solid waste and reduce its biochemical oxygen demand in order to increase dissolved oxygen in the water. It’s estimated that primary treatment only reduces biochemical oxygen demand by about 30% and suspended solids by up to 60%. Therefore, the water needs to be treated again in order to remove additional contaminants. Secondary treatment involves complex biological processes that are used to remove organic matter that was not removed during primary treatment. There are many different kinds of biological wastewater treatments, however each treatment can be classified as either an aerobic or anaerobic treatment depending on whether or not oxygen is present. What Are Biological Aerobic Treatments? If a treatment is classified as a biological aerobic treatment, it means it takes place in the presence of oxygen. Aerobic treatments work faster and result in cleaner water than anaerobic treatments, which is why they are preferred. The most popular aerobic treatment is the activated sludge process. At the start of the activated sludge process, wastewater moves into an aeration tank that is pumped full of oxygen. Aerating the wastewater increases microbial growth, which speeds up the decomposition of the organic matter that is still in the water. Then, this wastewater is transferred into a secondary clarifier, which is also known as a secondary settler or settling tank. The sludge, or waste, within the water will start to separate, leaving only the clean and treated water behind. This is one of the most efficient ways to biologically treat wastewater. Another popular aerobic treatment is the trickling filter process. During the trickling filter process, wastewater flows over a bed of rocks, gravel, ceramic, peat moss, or plastic. As the wastewater flows, the microorganisms in the water quickly start to attach to the bed. A layer of microbial film will soon start to grow over the bed. Over time, the aerobic microorganisms found in this layer of microbial film will start to break down the organic matter found in the water. If needed, oxygen can be infused or splashed into the wastewater to maintain aerobic conditions. The trickling filter process can rapidly reduce high concentrations of organic matter in the water, however there are disadvantages to this method as well. A trained professional will need to watch over this process from the start to finish, so this may not be the best choice for facilities with limited resources. Clogs are also fairly common, so the trained professional will need to know how to identify and fix this issue. 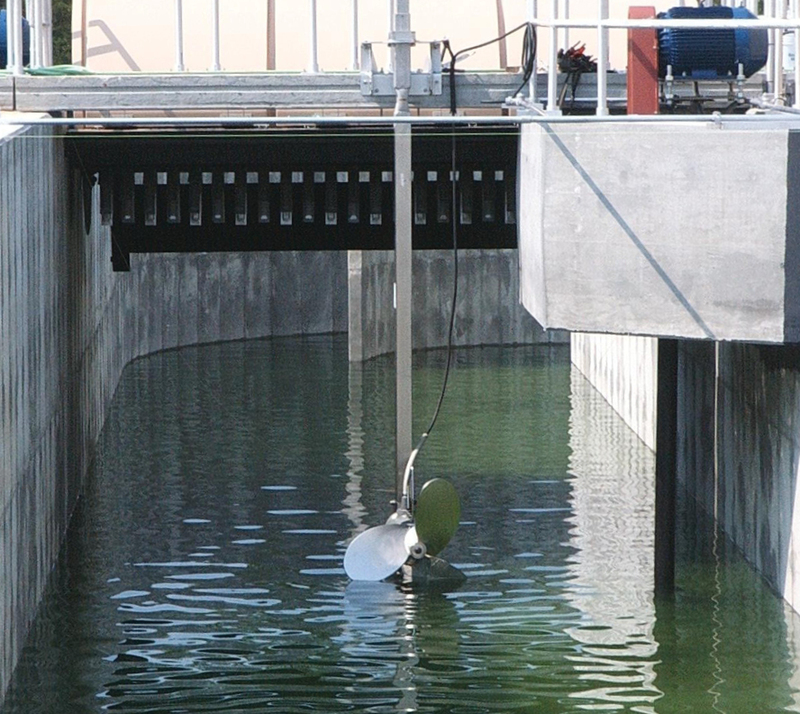 Some facilities use aerated lagoons as opposed to the activated sludge process. With this method, the wastewater sits in a treatment pond, where it is mechanically aerated. Pumping oxygen into the pond will increase microbial growth and speed up the decomposition of organic matter. However, unlike the activated sludge process, the water is not moved into another tank after it has been aerated. Instead, the separation of the sludge and the clean water happens within the treatment pond. Using an oxidation pond is another way to biologically treat the wastewater. This process involves removing the organic matter from wastewater using an interaction between bacteria, algae, and other microorganisms. This method may seem similar to an aerated lagoon, but it is far more complex and it takes much longer to achieve the desired results. This process also requires a lot more land space than the others, so it is typically not used in areas that are densely populated. What Are Biological Anaerobic Treatments? Biological anaerobic treatments take place in the absence of oxygen. Aerobic treatments are usually preferred, however it is best to use an anaerobic treatment when dealing with highly concentrated wastewater. The upflow anaerobic sludge blanket reactor is a single-tank anaerobic treatment, which means it takes place in one tank. This process begins with the wastewater entering through the bottom of the reactor tank. As the wastewater naturally starts to flow upwards, it encounters a sludge blanket that is suspended within the tank. The sludge blanket consists of microbial microorganisms that break down organic matter within the wastewater. When the wastewater encounters the sludge blanket, the microorganisms quickly break down the organic matter, leaving clean water behind to rise to the top of the tank. There are other similar anaerobic treatments, including the anaerobic filter, which involves a filter that has microbial microorganisms on its surface. What Happens After Wastewater is Biologically Treated? It’s estimated that biological treatments can remove up to 90% of the wastewater’s contaminants. Because all of the contaminants have not been removed, the wastewater is usually sent through a tertiary treatment process after the biological treatment. During this stage, heavy metals, nutrients, and other impurities are removed from the wastewater. The most common type of tertiary treatment involves the use of chlorine, which is a powerful disinfectant. Small amounts of chlorine are added to the water to remove the remaining impurities before the water is discharged into the environment. There are other ways to disinfect the water that do not involve chemicals. Many facilities avoid the use of chlorine by using UV light to treat the water. Regardless of which method is used, it is estimated that about 99% of all contaminants have been removed from the wastewater after it has completed this treatment. Since 1928, Lakeside Equipment Corporation has been committed to providing clean and healthy water to people around the world using innovative biological treatment processes. 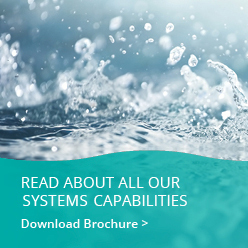 Contact Lakeside Equipment Corporation to learn more about our biological treatment systems. Call 630-837-5640 or visit our website to connect with one of our knowledgeable representatives today.